With the goal of attracting more skilled foreign workers, Japan moved to relax requirements for permanent residency for such individuals last April. Before the change, skilled non-Japanese workers had to stay in Japan for at least five years before applying for permanent residency, but now only one year is required. 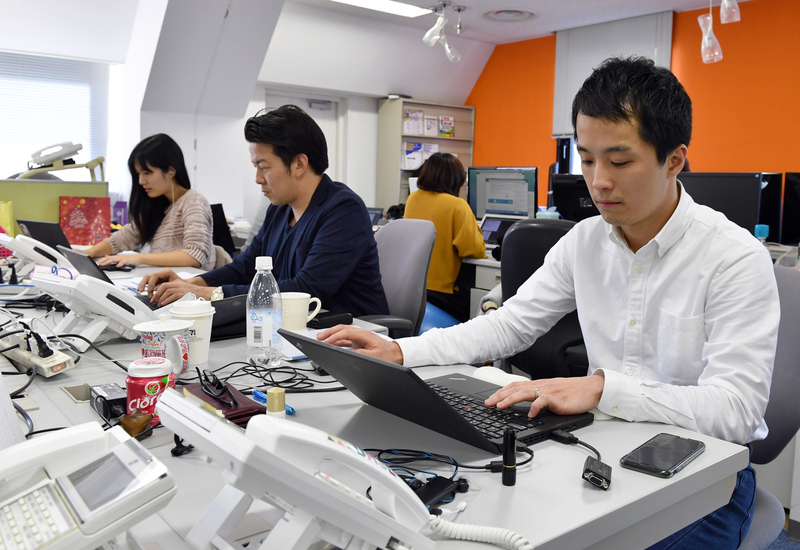 With the new fast-track rule, Japan is trying to shed its closed image, lure more skilled people, and retain those already working or studying here who can contribute to growing the economy. Some experts said the sped-up process will likely have a positive impact but that whether it will be a game-changer remains unclear. They also said Japan has other issues to work on, including easing the language barrier and changing aspects of its traditional corporate culture — including a seniority-based personnel system — to motivate foreign talent to come to the country. “Developed countries have been competing to attract talented people … and Japan can’t fall behind,” said Satoshi Kurimoto, director of the technical cooperation division at the Ministry of Economy, Trade and Industry. To keep the economy upbeat, it’s critical for companies to have skilled foreign employees who can bring fresh perspectives to management and production development and help expand to global markets, Kurimoto said. Fast-track permanent residency will lead to the influx of more talent, he said. “We are hoping that this will erase the closed image of Japan,” he said. 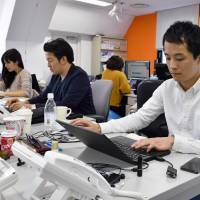 Since 2012, Japan has used a point system for skilled non-Japanese workers. The points are given based on individual backgrounds, including age, income, Japanese-language fluency and academic degrees. The system is intended to give preferential treatment to proficient workers, including a shortened path for permanent residency. When the system debuted, those who had 70 points or more could apply for permanent residency after five years. Normally, it takes 10 years to apply for the status. The 80-point mark isn’t necessarily a high hurdle, according to Makoto Sano, who heads Tokyo-based Acroseed Co., which provides consulting on recruitment of foreign workers and support for visa applications. Foreign employees working for major firms have a good shot at reaching that level, he said. International students studying in Japan can also score high since they can get points for graduating from Japanese colleges and universities, so the system gives them an incentive to stay and work, Kurimoto said. As of last June, the Justice Ministry had recognized 8,515 people as highly-skilled professionals with 70 or more points. It aims to triple that figure to 20,000 by 2022. “When I talk about this, everyone says ‘it’s amazing’ ” that Japan gives permanent residency so quickly to skilled workers, said Katsuhiro Hashimoto, director at Fourth Valley Concierge, a Tokyo-based firm that matches Japanese companies with foreign workers. But he said few people are aware of Japan’s new system, noting that he always promotes it at overseas job fairs. “(Foreign people) still have the image that Japan doesn’t accept overseas workers,” said Hashimoto, adding that it will probably take two or three years for the number of such workers to surge. While its global presence may have declined over the past decade with China taking over as the world’s second-largest economy, Japan still seems like a favorite choice among non-Japanese, Hashimoto said. The fast-track system is also designed to keep those already in Japan from leaving, and they are apparently welcoming the move. “Requests from foreign workers to get permanent residency have drastically increased,” said Sano of Acroseed. “It’s a really big thing for foreign people living in Japan whether they can get permanent residency … the new rule makes it easier, so they seem to be excited,” he said. But when it comes to whether it facilitates the inflow of more people from abroad, “I think it’s a different matter,” Sano said. He said this is mainly because of the living environment in Japan, particularly the language barrier. “A lot of people say the language is a concern. They are hesitant, believing that English is hardly useful here,” he said. This was partly echoed by Peng Jenhui, 36, who is from Taiwan and has been working in Japan since 2010. Peng, who lives with his Taiwanese wife and daughter, said various procedures necessary for living in Japan are dealt with only in Japanese, posing issues for non-Japanese residents. “I experienced the application process for a nursery school, but the guidance is in Japanese and procedures at municipal offices are in Japanese,” said Peng, who works at Fourth Valley Concierge as the manager of its business development division. Japan needs to foster, however slowly, an environment where foreign workers can live comfortably without having to be fluent in Japanese, Peng said. In the meantime, he welcomed the new fast-track permanent residency rule. Peng and his wife both have highly skilled professional visas, and his wife is currently applying for permanent residency. “I think it’s a really good thing, as Japan needs more foreign workers,” Peng said. He said they want to get permanent residency to live here for a longer period because he and his wife like Japanese nursery school education as well as other aspects of Japanese life, including clean air. The government is aware that something has to be done to ease the language barrier. For instance, the Japan External Trade Organization runs a website for non-Japanese and gives tips for living in Japan, such as how to set up bank accounts and cellphone services, according to Kurimoto of METI. The education ministry is also working to support children who cannot speak Japanese at schools, he said. Hashimoto of Fourth Valley said that, on top of the language barrier, some Japanese corporate traditions don’t really fit non-Japanese workers. “Japan’s traditional personnel system is unpopular among them … the seniority rule is not as visible as it used be but it’s still there to a certain degree,” Hashimoto said. Some foreign nationals looking to get a job in Japan expressed concern over the issue. A 24-year-old Chinese college student in Tokyo, who has been studying in Japan for three years and is looking to stay and work, said she is worried about the traditional hierarchy within companies. The student was attending a job fair for international students studying in Japan held by Tokyo-based Vein Global Inc. last month. She also expressed concern about adjusting to Japan’s business manners, such as how to behave during drinking parties and speak politely in business Japanese. Hashimoto said it would not make sense to completely change the personnel system for a minority of workers. But “I think it’s important for Japanese companies to adjust the system for a diverse workforce,” he said. This is the last in a four-part New Year’s series examining Japan’s immigration policy as the nation struggles with a shortage of workers and an aging population.